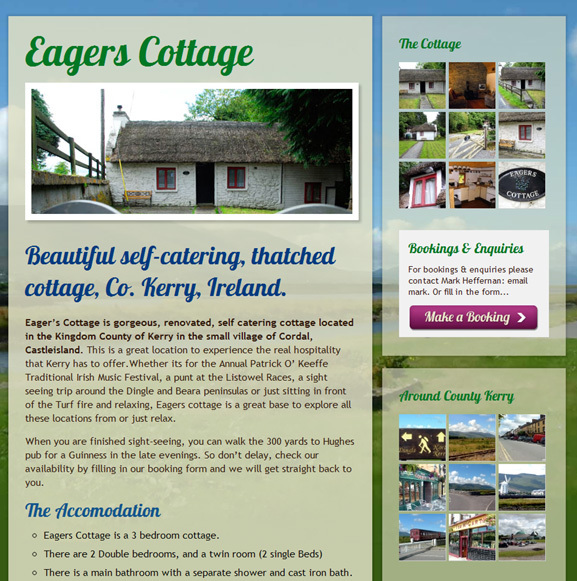 We’re really excited about this one, Eagers Cottage is our first One Page Wonder website, our new package here at Cookie Web. Built on wordpress and with a handy booking form for all you eager holiday makers. Also they’ve got some great information on things to do in the area to get you in the holiday mood. It’s a great site and we’re delighted with the finished product.